On iPhone®, open the Wallet app and tap the plus sign. From there, follow the onscreen instructions. To enable Touch ID for Apple Pay, visit Settings, Touch ID & Passcode, and slide the toggle for Apple Pay to the on (green) position. On Apple Watch™, open the Apple Watch app on your iPhone and select “Wallet & Apple Pay”, then tap “Add Credit or Debit Card”. From there, follow the onscreen instructions. On iPad®, go into Settings, open “Wallet & Apple Pay” and select “Add Credit or Debit Card”. From there, follow the onscreen instructions. 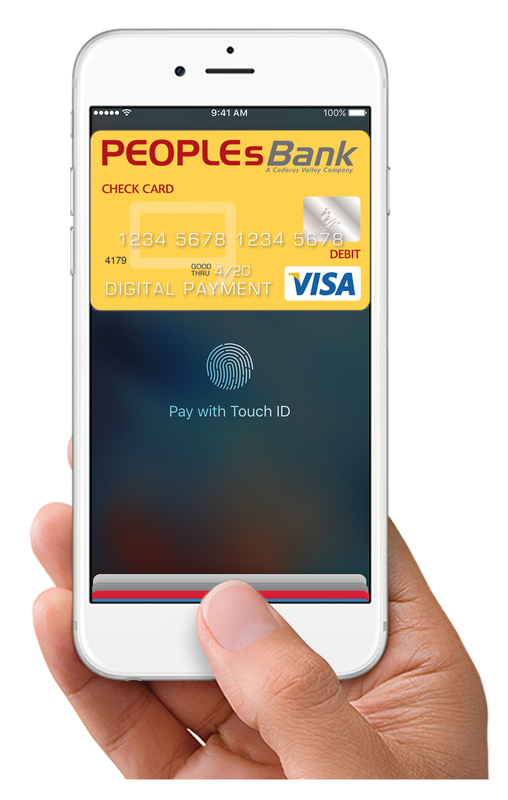 To pay within stores, hold iPhone near the contactless reader with your finger on Touch ID™. On Apple Watch, just double click the side button and hold the display of your Apple Watch up to the contactless reader. To pay within apps on iPhone and iPad, select Apple Pay as the payment method and place your finger on Touch ID. Apple Pay is easy and works with the Apple devices you use every day. You can make purchases in stores, in apps, and online. Apple, the Apple logo, iPhone, and iPad are trademarks of Apple Inc., registered in the U.S. and other countries. Apple Pay and Touch ID are trademarks of Apple Inc. Apple Pay works with iPhone 6 and later and Apple Watch in stores, and iPhone 6 and later, iPad Pro, iPad Air 2, and iPad mini 3 and later within apps. For a list of compatible Apple Pay devices, click here.